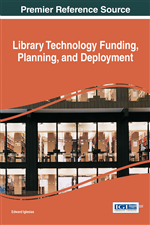 This chapter examines and details the RFP process that the MSU Libraries undertook for the implementation of a discovery tool. The chapter will look at each step in the process and focus on the tasks involved, the reasons for those tasks, how they fit the overall objective, and how they were used to build consensus. Funding and sustainability are implied as this project came as a directive from library administration and sustainability is dependent on the performance of the discovery tool. The evaluation of performance is part of an ongoing project in which two reports have been generated pointing to the success in the usage goals of the discovery tool. Issues and planning techniques will be expanded in each of the proposed sections of the chapter. The Michigan State University Libraries have subscribed to more than 300 databases from various vendors. Silos of databases, different platforms, and user interfaces forced users to perform or redo their searches separately. It was increasingly difficult for users to figure out which database would be the best option given their needs. A task force was created and charged to analyze needs and recommend a solution to address the problem. The group issued a report with suggestions to adopt a software that can do cross database searching as well as link resolution. Based on the recommendation, the library decided to implement a vendor-based federated search tool, as well as an openURL link resolver. The openURL link resolver solution helped facilitate seamless linking between an indexing/abstracting database and the respective full-text content. However, the core problem remained: users still had to determine which database to use even though the federated search solution showed some results. This solution still had quite a number of other shortcomings: the processing speed was quite slow because it had to query a number of databases simultaneously and, because each source was queried “live”, the displayed search results were on a “first arrival” basis not necessarily by relevancy. Moreover, querying many resources took a long time to complete. Baer (2004) noted that “[w]hen searching multiple databases at the same time, the quantity of articles searched increases, but the quality of the search is jeopardized.” Due to the system’s less than stellar performance, we ceased to promote the system as the first choice for student research but continued to use the openURL link resolver. The wider adoption of web discovery tools by various academic libraries grew in the recent years. “Discovery tool use has almost doubled since the last study in 2009/2010, up to 29 percent from 16 percent: Out of 260 libraries, 75 were offering a discovery tool, versus 41 libraries in the previous study” (Hofmann & Yang, 2012, p. 257). This convinced us that it was time to look into this service again. The system architecture of our catalog has changed quite significantly and we share the catalog system with the Library of Michigan and the MSU Law Library. In order to implement a discovery tool, we would need to consider how the tool might affect the exposure and usage of these other two libraries as well. In addition, a discovery tool would have to index at least 6 million bibliographic records from the catalog. Michigan State University has roughly 37,000 undergraduate students, 11,000 graduate and professional students, and 5,000 faculty and staff. The librarians viewed discovery tools as well suited for those first and second year undergraduate students who are beginning to learn how to research, but we didn’t want to exclude the needs of the more sophisticated researchers of the graduate and professional programs as well as faculty. Michigan State University is also a land grant university, which means residents of the state of Michigan are eligible to use the print collection as community borrowers, can use most digital resources while on the premises, and in many cases they can borrow materials through the Michigan eLibrary ILL consortium. The understanding of this background would help us to formulate a plan going forward in the procurement of a discovery tool. On July 22, 2013, we sent a formal Request for Proposal (RFP) to four prospective bidders for a discovery tool solution. Although the release on the RFP may seem like the first step in the process of implementing a discovery tool for the library, it was actually the culmination of a year’s worth of work and should be considered a project all on its own. In order to obtain the best proposal to fit the needs of the library’s users, to fit the mission of the library within the MSU community and the State of Michigan, to harmonize with the learning environment of the university, and to be able to integrate with the technological infrastructure of the library, the development of the RFP needed to be approached in a careful, methodical, and inclusive way. Also, by taking this approach and completing the heavy lifting on the front end, we looked to improve our chances of a smooth and successful implementation of a discovery tool for the benefit of our users.